For centuries, coconut oil has been used as the core ingredient in a wide range of skin and hair care treatments. The natural moisturizing properties and gentle antibacterial makeup of coconut oil has made it both a cosmetic and antiseptic staple for cultures all over the globe. Now Art Naturals, a leader in all natural and organic beauty, is proud to offer you this timeless treatment in its most pure and effective form. Art Naturals Fractionated Coconut oil is made with 100% pure cocos nucifera, no additives or artificial perfumes. Use as a healing & lightweight moisturizer for dry skin, chapped lips, and cracked hands, or as a gentle all natural makeup remover. Coconut oil's light and residue-free properties make it a perfect carrier oil to be used with popular essential oils such as eucalyptus, lavender, and peppermint. The rich antioxidant and disinfectant properties of coconut oil make it an ideal hair care treatment for damaged and dry hair. Free of greasy residue, coconut oil can even be added to your favorite shampoo, helping to treat both dry scalp and dandruff. The rich antiseptic qualities of coconut oil make it the perfect alternative to painful peroxide and harsh chemicals for the treatment of minor cuts, scrapes, and burns. With so many applications and benefits it is clear to see why so many people across the globe turn to coconut oils for a variety of trusted treatments and remedies. Our ingredients are always clearly labeled and 100% thorough and truthful. Our love of beauty stretches beyond humanity and strives to see the wonder in all of nature. That is why our packaging is made with BPA Free materials and our ingredients are vegan, paraben-free and cruelty-free. 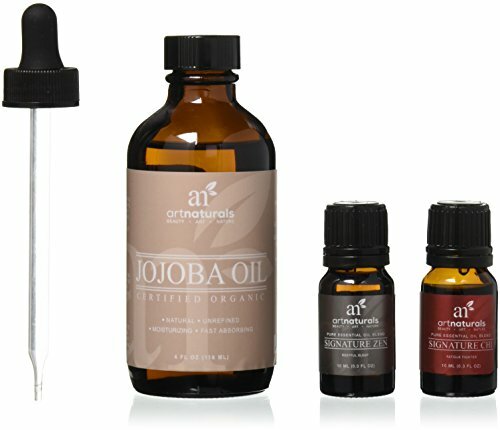 FROM AROMATHERAPY TO MASSAGE THERAPY TO BEAUTIFUL SKIN AND HAIR- THIS NEWLY DISCOVERED OIL DOES IT ALL!. Imagine having soft, supple skin and silky, luscious hair, or get perfectly relaxed, with this natural massage oil. Take the naturally healthy route, and use this oil in your homemade lotions, soaps, cosmetics, and ointments. Or, make your home and office smell fresh and lovely, when you use this oil in aromatherapy. TO PEOPLE WHO HAVE BEEN SEARCHING FOR THE PERFECT OIL: MOLIVERA ORGANICS FRACTIONATED COCONUT OIL. Our Fractionated Coconut Oil is the highest premium grade available, 100% pure, and is guaranteed the freshest. Unlike other carrier oils, Fractionated Coconut Oil has an incredibly long shelf life and will not go rancid-making it perfect for DIY products and moisturizers. Fractionated coconut oil is lavishly healing and anti-aging because it is very high in Vitamin E-the beauty vitamin, and extremely high in Capric acid and Caprylic acid, boosting its antioxidant and disinfectant results. This oil works wonders for hair; it is one of the only oils that penetrates the hair shaft. Our oil is absolutely amazing at treating wrinkles, blemishes, acne, dark patches, dry and dull skin, stretch marks, scars, eczema, psoriasis, rosacea, frizzy dry hair, lifeless hair, and the list goes on. Molivera Organics Fractionated Coconut Oil is light, silky, and odorless: perfect for beautification, massage therapy, or aromatherapy. FINALLY FIND THE GO-TO OIL YOU HAVE BEEN SEARCHING FOR- FROM MOISTURIZING TO MASSAGING! We guarantee you will be 100% in love with your new skin and hair and afternoon aromatherapy or your money back. SO, EMPTY OUT YOUR CABINET, AND ADD MOLIVERA ORGANICS FRACTIONATED COCONUT OIL TO YOUR CART NOW AND ENJOY BEING NATURALLY HEALTHY AND BEAUTIFUL. Fractionated coconut oil is a fraction of the whole oil, in which the different medium-chain fatty acids are separated for specific uses. 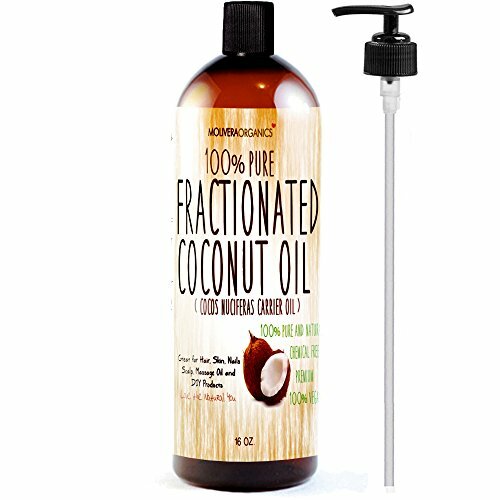 Fractionated Coconut Oil is a highly stable, odorless and colorless oil that can be beneficial when you need a really light, penetrating oil or an oil that will not quickly go rancid. Its affordability and shelf life makes it a good oil to keep on reserve should you run low on your other more precious carrier oils. 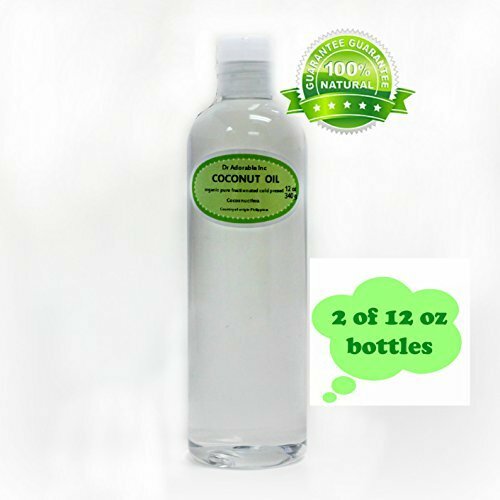 Fractionated Coconut Oil is a super carrier for essential oils. It is completely liquid, colorless, odorless, and resists rancidity. It is non-greasy and very light - makes a great non-staining massage oil. INCI Name: Caprylic/ Capric Triglycerides. 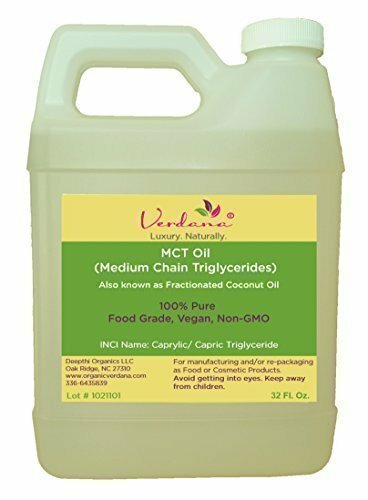 Organic Verdana 32 oz Food Grade MCT oil is made from organic food grade coconut (hence the name fractionated coconut oil) and consists of almost completely C8 and C10 (Caprylic and Capric) triglycerides. Other brands tend to have a significant amount of C12 oil (Lauric acid) which is actually a 'long' chain oil. Our product is Colorless, Odorless and with very long shelf life. (There is no such thing as 'organic' MCT oil or 'organic' Fractionated Coconut oil. Such claims by some vendors are not true. The 'fractionation' process by definition is not organic. But it is possible to make sure that the fractionation process is responsible and that it does not impart harmful synthetics into the product. This is how the Organic Verdana Food Grade MCT oil has been manufactured). Beneficial For The Skin: Organic Verdana feather-light MCT oil heals and softens damaged and dry skin. Since the MCT oil aka fractionated coconut oil is easily absorbed into the skin, it won't clog pores and you'll never be left with the 'greasy' feeling of other plant-based carrier oils. Being 100% saturated fatty acid, it gets quickly absorbed in the digestive system without the aid of digestive enzymes and bile acids etc., Our MCT oil is 100% pure, non GMO and batch tested for purity. Premium Quality: Our MCT Oil meets and exceeds the quality standards of the FDA. Perfect Carrier Oil for Essential Oils and Massage: Completely soluble with all essential oils and is colorless, odorless and can be used for very long periods when stored in correct conditions. This MCT oil is ideal for massage, as well as mixing with other carrier oils and essential oils. ?ORGANIC FRACTIONATED COCONUT OIL Product Name: Coconut - Fractionated Carrier Oil Botanical Name: Cocos nucifera Chemical Name: Glyceryl Tricaprate Caprylate Synonyms: Palma cocos INCI Name: Caprylic/capric triglyceride Country of Origin: Philippines Fractionated coconut oil is a fraction of the whole oil, in which the different medium-chain fatty acids are separated for specific uses. 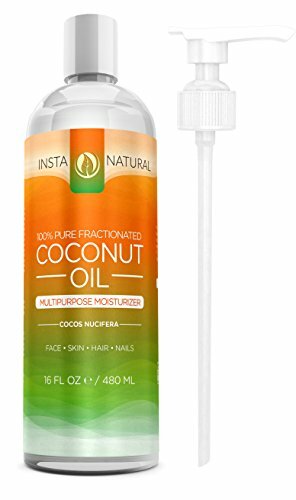 Fractionated Coconut Oil is a highly stable, odorless and colorless oil that can be beneficial when you need a really light, penetrating oil or an oil that will not quickly go rancid. Its affordability and shelf life makes it a good oil to keep on reserve should you run low on your other more precious carrier oils. Fractionated Coconut Oil is a super carrier for essential oils. It is completely liquid, colorless, odorless, and resists rancidity. It is non-greasy and very light - makes a great non-staining massage oil. 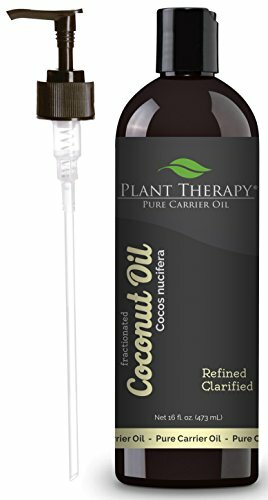 Product Name: Coconut - Fractionated Carrier Oil Botanical Name: Cocos nucifera Chemical Name: Glyceryl Tricaprate Caprylate Country of Origin: Philippines Massage Oil - Coconut oil soothes tired and sore muscles. Add a few drops of essential oils for more effect. Cleanser - Coconut oil makes an effective and gentle cleanser to remove the grime of the day. Stretch Marks - Prevent and soften stretch marks from pregnancy with coconut oil for soft and supple skin. Moisturizer - Coconut oil is an excellent way to soften and hydrate dry, rough, or damaged skin. Face Scrub - Mix coconut oil with baking soda, sugar, or cinnamon and oatmeal for the perfect face scrub and exfoliator. Wrinkles - Rub into lines, creases, and wrinkles to rehydrate skin and soften those wrinkles away. Lip Balm - Coconut oil hydrates and protects lips. Coconut even offers some protection from the sun, about an SPF 4. Age Spots - Coconut oil has beneficial effects on any skin blemish. Use it to help fade age spots with powerful antioxidants. Makeup Remover - Coconut oil removes oil-based makeup easily, like mascara. It cleans, hydrates, and makes skin glow. Conditioner - Coconut oil conditions, strengthens, and repairs hair. Massage it in and rinse it out after ten minutes. A small amount can be rubbed in to dry hair to tame frizz. Polish Furniture - Coconut oil gives a protective shine to wood furniture. Just make sure you test it out on a small area to make sure you like the outcome. Cooking - Coconut oil doesn't form harmful by-products when heated like most other oils and animal fats. Use it to replace butter, cup for cup in recipes. Sauté, cook, bake, broil, braise, and more using coconut oil as a healthier alternative. Made without pesticides, GMO's, or hexane. Ingredients: coconut oil, 100% Pure with NO additives or carriers added. Description: Fractionated oils have been heated, to separate certain chains of fatty acids into components. This refines, clarifies, and deodorizes the oil. It's ability as an emollient and moisturizer is the same. 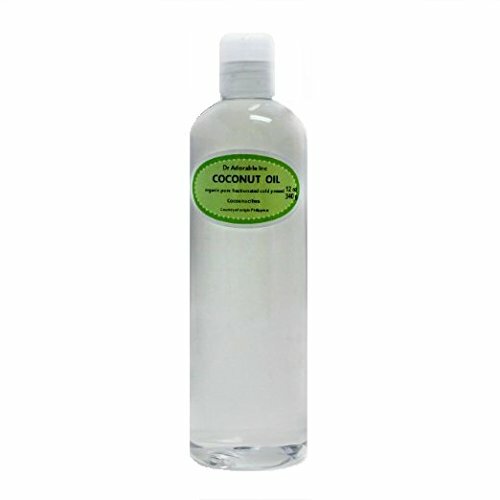 Common Uses: Fractionated Coconut Carrier Oil is used almost exclusively by cosmetic manufacturers. This is a favorite of skin care professionals and of massage therapists as it will not easily stain sheets and clothing. It's quickly absorbed by the skin, glides easily and never leaves a greasy feeling. Fantastic for overall body oil applications.Fractionated coconut oil can be used in lotions, lip applications, cosmetics, creams, bath oils, massage oils, bath salts, and soap. This oil can easily substitute sweet almond oil in recipes. 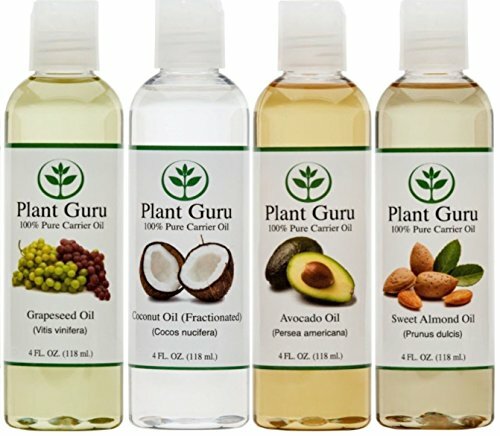 We are buying our oils from organic certified supplier, made with organic ingredients. Shelf Life: Fractionated Coconut oil is extremely resistant to breaking down and does not go rancid like other carrier oils. Refrigeration is not needed. Your item(s) will be shipped the same business day or next business day of confirmation of payment if received by 3:00 pm PST. (not including weekends or holidays). When you receive your item and are pleased with our transaction, please let us know by leaving positive feedback, we will do the same for you in return. Look forward to do business with you, H&B OILS CENTER Co.
Coconut oil is a favorite of skin care professionals and massage therapists, as it will not easily stain sheets and clothing. It's quickly absorbed by the skin, glides easily and doesn't leave a greasy feeling. Coconut oil is a clear, almost odorless liquid that doesn't easily solidify. This oil's aroma may fluctuate from batch to batch; sometimes it's completely odorless, while other times it may have a faint aroma of coconut. Being an all-natural product, with no additives or solvents, it will not be exactly the same every time. Anjou Coconut Oil only uses the best coconuts freshly handpicked and cold-pressed at its prime from coastal area of Philippines, making it a healthy addition to your daily life through dietary supplementation, cooking, and beauty care. Extra virgin, free of bleach, hexane and trans fats, and contains medium-chain fatty acid that is essential in boosting metabolism, cleansing, and soothing your skin and hair. 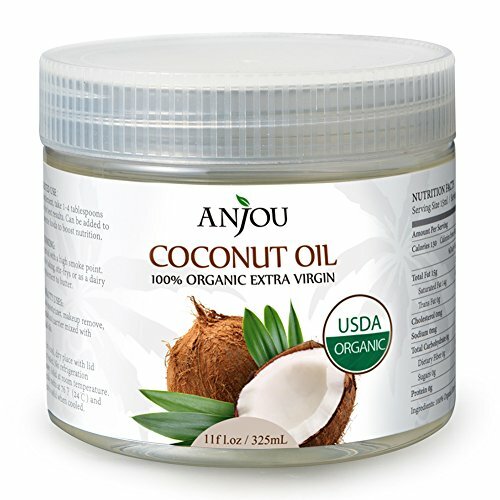 Well preserved and bursting with a fresh coconut scent, Anjou Coconut Oil is a popular, healthy, and exotic nutrient for your dinner table and alternative to butter and vegetable oil. Use it to sauté, stir-fry, bake, or just coat it on a slice of bread for an authentic tropical touch and some good fat - cooking was never so easy. Alternatively, drop it in your shampoo or moisturizer to get the most organic nourishing or use it to remove makeup to give your face the most delicate care as you do to your stomach. Botanical Name: Cocos Nucifera. Extraction Method: Cold Pressed. Processing Tape: Refined. Obtained From: Coconut Meat. Organic: made without pesticides, GMO's, or hexane. Ingredients: Coconut oil, 100% Pure with NO additives or carriers added. Common uses: This oil suitable for food purpose. This is a great oil for general moisturizing and serves as a protective layer, helping to retain the moisture in your skin. It also acts as a mild oil suitable for those with inflamed and irritated skin, and those with skin sensitivities. Is also an excellent base for massage oils. Used extensively in hair care like hair conditioner. Coconut oil is without a doubt, the number one lather-producing agent used in soaps. And is the first choice for most people in the cosmetics and soap industry. Color: Clear when liquid, white when solid. 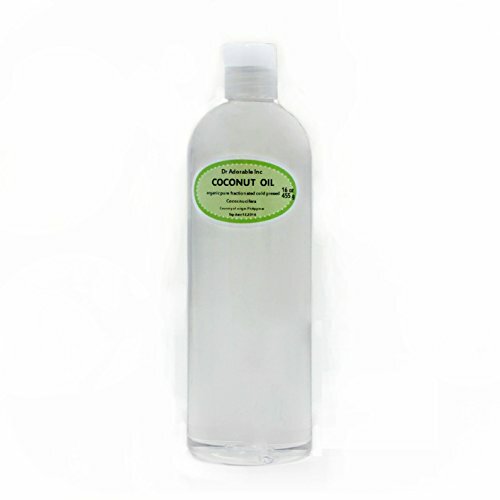 Aromatic Description: Organic Coconut Oil has a very slight coconut scent, but is generally considered odorless. Consistency: Semi-solid at room temperatures. Gentle heating is require, melts at 92 degrees. We are buying our product from organic certified supplier, made with organic ingredients. Shelf Life: Coconut Organic Carrier Oil is slow to go rancid; users can expect a minimum shelf life of 2 Year with proper storage conditions (cool, out of direct sunlight). Refrigeration after opening is recommended. Your item(s) will be shipped the same business day or next business day of confirmation of payment if received by 3:00 pm PST. (not including weekends or holidays). All item(s) will be shipped with tracking number. When you receive your item and are pleased with our transaction, please let us know by leaving positive feedback, we will do the same for you in return. Look forward to do business with you, H&B OILS CENTER Co.